Here is a list of references, including many seminal papers and advanced resources. Please note that links to the copyrighted papers are not accessible from this site. Writing correct programs by J. Bentley. Communications of the ACM, Vol. 26, No. 12, pp. 1040-1045 (December 1983). Even binary search is hard to program correctly. Big Omicron and big Omega and big Theta by D. Knuth. SIGACT News, 1976. A note on big-Oh and related notations. On a class of O(n^2) problems in computational geometry by A. Gajentaan and M. H. Overmars. Computational Geometry, Vol. 5, pp. 165-185 (1995). Set merging algorithms by J. E. Hopcroft and J. D. Ullman. SIAM Journal on Computing, Vol. 2, No. 4, 294-303 (April 1973). Iterated log analysis of weighted quick union with path compression. Efficiency of a good but not linear set union algorithm by R. E. Tarjan. Journal of the ACM, Vol. 22, No. 2, 215-225 (April 1975). Inverse Ackermann analysis of weighted quick union with path compression. The cell probe complexity of dynamic data structures by M. L. Fredman and M. E. Saks. In Proceeding of STOC 1989, pp. 345-354. Ackermann lower bound for union-find. A high-speed sorting procedure by D. L. Shell. Communications of the ACM, Vol. 2, No. 7 (July 1959). Analysis of Shellsort and related algorithms by R. Sedgewick. Proceedings of ESA 1996, pp. 25-27. Survey of the analysis of Shellsort. Optimal stable merging by A. Symvonis. The Computer Journal, Vol. 38, No. 8 (1995). Quicksort by C. A. R. Hoare. The Computer Journal, Vol. 5, No. 1, pp. 10-16 (1962). Implementing quicksort programs by R. Sedgewick. Communications of the ACM, Vol. 21, No. 10, pp. 847-857 (October 1978). Practical study of how to implement quicksort. The analysis of quicksort programs by R. Sedgewick. Act Informatica, Vol. 7, pp. 327-355 (1977). Theoretical analysis of quicksort variants. Engineering a system sort by J. L. Bentley and M. D. McIlroy. Software: Practice and Experience, Vol. 23, No. 11, pp. 1249-1265 (November 1993). A killer adversary for quicksort. M. D. McIlroy. Software: Practice and Experience, Vol. 29, No. 4, pp. 1-4 (April 1999). Worst-case inputs for deterministic quicksorts. Three beautiful quicksorts. J. L. Bentley. Googl Tech Talks, August 9, 2007. Three implementations of quicksort along with historic context. Average case analysis of Java 7's dual pivot quicksort. S. Wild and M. E. Nebel. In Proceedings of the 20th European Symposium on Algorithms, 2012. Analysis of Yaroslavskiy's dual-pivot quicksort used in Java 7. An analysis of algorithms for the Dutch national flag problem by C. L. McMaster. Communications of the ACM, Vol. 21, No. 10, pp. 842-847 (October 1978). Algorithm 232: Heapsort by J. W. J. Williams. Communications of the ACM, Vol. 7, No. 6, pp. 347-348 (June 1964). Algorithm 245: Treesort by R. W. Floyd. Communications of the ACM, Vol. 7, No. 12, p. 701 (December 1964). The analysis of heapsort by R. Schaffer and R. Sedgewick. 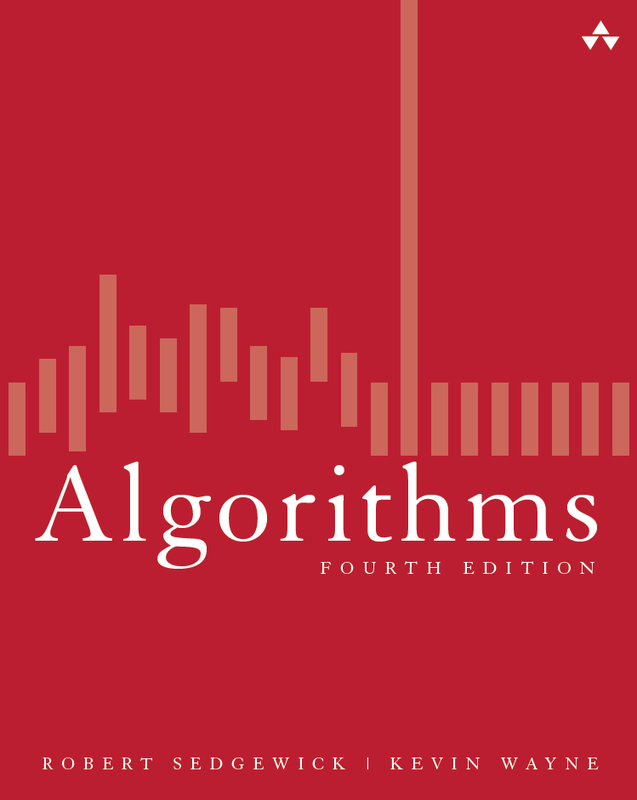 Journal of Algorithms, Vol. 15, No, 1, pp. 76-100 (July 1993). Linearithmic best and average case analysis of heapsort. Time bounds for selection by M. Blum, R. W. Floyd, V. R. Pratt, R. L. Rivest, and R. E. Tarjan. 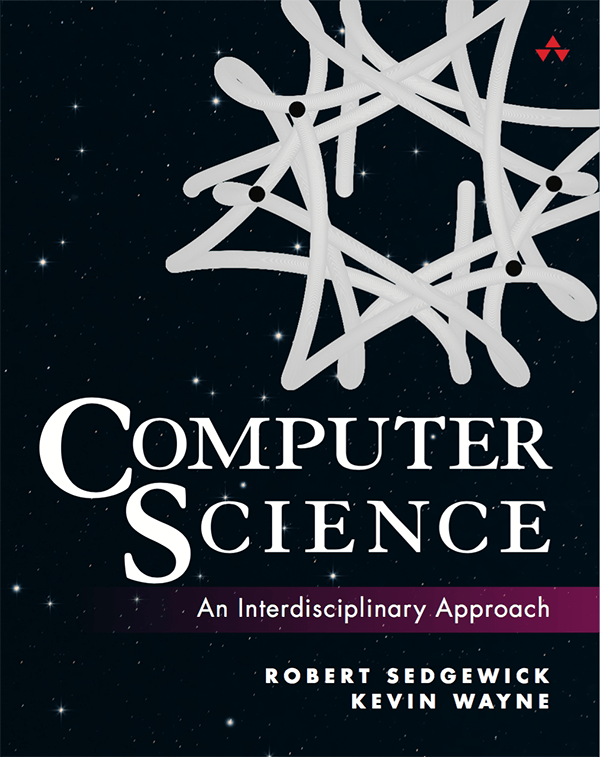 Journal of Computer and System Sciences, Vol. 7, No. 4, pp. 448-461 (August 1973). Samplesort: a sampling approach to minimal storage tree sorting by W. D. Frazer and A. C. McKellar. Journal of the ACM, Vol. 17, No. 3, pp. 496-507 (July 1970). An efficient algorithm for determining the convex hull of a finite point set by R. L. Graham. Information Processing Letters, Vol. 1, pp. 132-133 (1972). Graham scan algorithm for convex hull. A lower bound for finding convex hulls by A. C. Yao. Journal of the ACM, Vol. 28, No. 4, pp. 780-787 (October 1981). Linearithmic lower bound for convex hull in quadratic decision tree model. Lower bounds for algebraic computation trees by M. Ben-Or. In Proceeding of STOC 1983, pp. 80-86. Linearithmic lower bounds for sorting and related problems in algebraic decision tree model. A dichromatic framework for balanced trees by L. J. Guibas and R. Sedgewick. In Proceedings of FOCS 1978, pp. 8-21. Randomized binary search trees by C. Martinez and S. Roura. Journal of the ACM, Vol. 45, No. 2, pp. 288-323 (March 1998). Self-adjusting binary search trees by D. D. Sleator and R. E. Tarjan. Journal of the ACM, Vol. 32, No. 3, pp. 652-686 (July 1985). How tall is a tree by B. Reed. In proceeding of STOC 2000, pp. 479-483. Asymptotics of height of a randomized BST. Analysis of the standard deletion algorithms in exact fit domain binary search trees by J. Culberson and J. I. Munro. Algorithmica, Vol. 5, pp. 295-311 (1990). sqrt(n) analysis for BST with Hibbard deletions. Exact distribution of individual displacements in linear probing hashing by A. Viola. 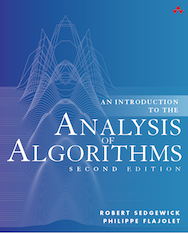 ACM Transactions on Algorithms, Vol. 1, No. 2, pp. 214-242 (October 2005). Analysis of Knuth's parking problem. Multidimensional binary search trees used for associative searching by J. L. Bentley. Communications of the ACM, Vol. 18, No. 9, pp. 509-517 (September 1975). Depth-first search and linear graph algorithms by R. E. Tarjan. SIAM Journal of Computing, Vol. 1, No. 2, pp. 146-160 (June 1972). Linear-time algorithms for strong components and biconnected components. Finding dominators in directed graphs by R. E. Tarjan. SIAM Journal of Computing, Vol. 3, No. 1, pp. 62-89 (March 1974). A strong-connectivity algorithm and its applications in data flow analysis by M. Sharir. Computers and Mathematics with Applications, Vol. 7, pp. 67-72 (1981). A linear-time algorithm for testing the truth of certain quantified boolean formulas by B. Aspvall, M. F. Plass, and R. E. Tarjan. Information Processing Letters, Vol. 8, No. 3, pp. 121-123 (1979). Linear-time algorithm for 2SAT using strong components. On a certain minimal problem by O. Boruvka. A note on two problems in connexion with graphs by E. W. Dijkstra. Numerische Mathematik, Vol. 1, pp. 269-271 (1959). Shortest connection networks and some generalizations by R. C. Prim. Bell System Technology Journal, Vol. 36, pp. 1389-1401 (1957). On the shortest spanning subtree of a graph and the traveling salesman problem by J. B. Kruskal, Jr. Proceedings of the American Mathematical Society, Vol. 7, No. 1, pp. 48-50 (February 1956). On a routing problem by R. Bellman. Quarterly of Applied Mathematics, Vol. 16, pp. 87-90 (1958). Network flow theory by L. R. Ford, Jr. Technical Report P-923, The Rand Corporation (August 1956). Negative-cycle detection algorithms by B. V. Cherkassky and A. V. Goldberg. Mathematical Programming, Vol. 85, pp. 349-363 (1996). A survey of negative-cycle detection algorithms. On the history of the minimum spanning tree problem by R. L. Graham and P. Hell. Annals of the History of Computing, Vol. 7, No. 1, pp. 43-57 (January 1985). An authoritative history of the MST problem. On the history of combinatorial optimization (till 1960) by A. Schrijver. Handbook in Operations Research and Management Science, Vol. 12, pp. 1-68 (2005). An authoritative history of several combinatorial optimization problems. Engineering Radix Sorts by P. M. McIlroy, K. Bostic, and M. D. McIlroy. Computing Systems, Vol. 6, No. 1, pp. 5-27 (Winter 1993). Implementations of MSD radix sort. Data-Specific Analysis of String Sorting by R. Seidel. SODA 2010. Analysis of string sorting algorithms in the random string model. Fast pattern matching in strings by D. E. Knuth, J. H. Morris, and V. R. Pratt. SIAM Journal on Computing, Vol. 6, No. 2, pp. 323-350 (June 1977). A fast string searching algorithm by R. S. Boyer and J. S. Boore. Communications of the ACM, Vol. 20, No. 10, pp. 762-772 (October 1977). Practical fast searching in strings by R. N. Horspool. Software: Practice and Experience, VOl. 10, pp. 501-506 (1980). Efficient randomized pattern-matching algorithms by R. M. Karp and M. O. Rabin. IBM Journal of Research and Development, Vol. 31, No. 2, pp. 249-260 (March 1987). Fast algorithms for sorting and searching strings by J. L. Bentley and R. Sedgewick. In Proceedings of SODA 1997. 3-way radix sort and ternary search tries. A universal algorithm for sequential data compression by J. Ziv and A. Lempel. IEEE Transactions on Information Theory, Vol. 23, No. 3, pp. 337-343 (May 1977). Compression of individual sequences via variable-rate coding by J. Ziv and A. Lempel. IEEE Transactions on Information Theory, Vol. 24, No. 5, pp. 530-536 (September 1978). A method for the construction of minimum-redundancy codes by D. Huffman. Institute of Radio Engineers, Vol. 40, No. 9, pp. 1098-1101 (September 1952). A block-sorting lossless data compression algorithm by M. Burrows and D. J. Wheeler. Technical report 124, Digital Equipment Corporation (May 1994). A locally adaptive data compression scheme by J.L. Bentley, D. D. Sleator, R. E. Tarjan, and V. K. Wei. Communications of the ACM, Vol. 29, No. 4, pp. 320-330 (April 1986). PATRICIA—Practical Algorithm To Retrieve Information Coded in Alphanumeric by D. R. Morrison. Journal of the ACM, Vol. 15, No. 4, pp. 514-534 (October 1968). Organization and maintenance of large ordered indexes R. Bayer and E. McCreight. Acta Informatica, Vol. 1, No. 3, pp. 173-189 (1972). Maximal flow through a network L. R. Ford, Jr. and D. R. Fulkerson. Canadian Journal of Mathematics, pp. 399-404 (1956). Ford-Fulkerson algorithm for the maxflow problem. A note on the maximum flow through a network by P. Elias, A. Feinstein, and C. E. Shannon. IRE Transactions on Information Theory, Vol. 2, No. 4, pp. 117-119 (December 1956). A proof of the max-flow min-cut theorem, independent, but subsequent to Ford-Fulkerson. Theoretical improvements in algorithmic efficiency for network flow problems by J. Edmonds and R. M. Karp. Journal of the ACM, Vol. 19, No. 2, pp. 258-264 (1972). The shortest and highest capacity augmenting path heuristics for the Ford-Fulkerson algorithm. On implementing push-relabel method for the maximum flow problem by Boris V. Cherkassky and Andrew V. Goldberg. Integer Programming and Combinatorial Optimization, Vol. 920, pp. 157-171 (1995). Efficient implementations of the push-relabel method for the maximum flow problem. Computational investigations of maximum flow algorithms by Ravindra K. Ahuja, Murali Kodialam, Ajay K. Mishra, and James B. Orlin. European Journal of Operations Research, Vol. 97, pp. 509-542 (1997). Comparison of several maximum flow algorithms in practice. Efficient Maximum Flow Algorithms A. V. Goldberg and R. E. Tarjan. Communications of the ACM, pp. 82-89 (2014). Overview of efficient algorithms for the maxflow problem. Network flow algorithms by A. V. Goldberg, E. Tardos, and R. E. Tarjan. In Algorithms and Combinatorics edited by B. Korte, L. Lovasz, H. J. Promel, and A. Schrijver. Survey of network flow algorithm. Notes on suffix sorting by N. J. Larsson. Tech report LU-CD-TR:98-204, Lund University. Linearithmic analysis of Sadakane's suffix sorting algorithm. Simple linear work suffix array construction by J. Karkkainen and P. Sanders. Suffix sorting in linear time. Paths, trees, and flowers by J. Edmonds. Canadian Journal of Mathematics, Vol. 17, pp. 449-467 (February 1965). Association of polynomial-time algorithm with efficient algorithm. The complexity of theorem proving by S. A. Cook. In Proceedings of STOC 1971, pp. 151-158. Reducibility among combinatorial problems by R. M. Karp. In Complexity of Computer Computations, pp. 85-103. 21 diverse combinatorial problems are NP-complete.